The good folks over at The Art of Manliness gives us a lesson in the essentials of the modern mans Dopp Kit. Here's the rundown. 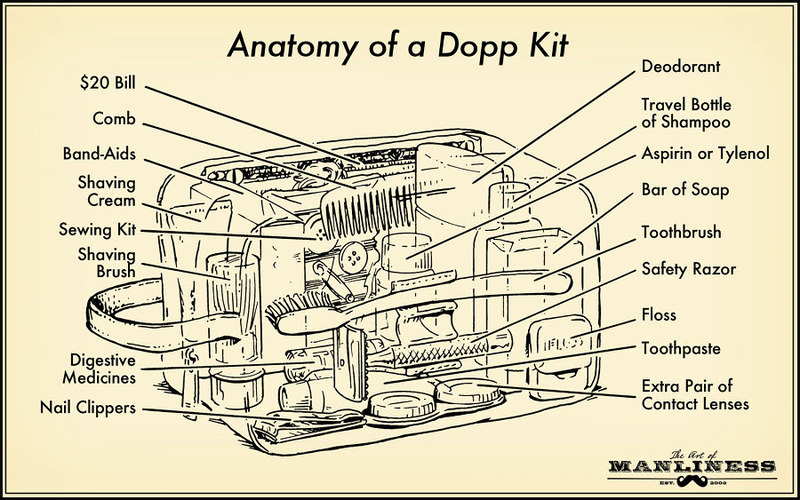 Check here for a history of the Dopp Kit.